Hey all, I just got back from wonderful Columbus, OH, home of the annual Arnold Sports Festival. This festival takes place around the first weekend of March every year, and is located downtown, just ten minutes away from the Ohio State University Campus. For us supplement junkies, the biggest part of the Arnold Classic is the EXPO hall, where supplement manufacturers show off their latest and greatest products, launch new supplements, and give away huge amounts of samples. At the EXPO, the booths cost a lot of money, and many of the bigger manufacturers have ridiculously large displays, donned by professional sponsored bodybuilders and all of the amazingly beautiful female fitness athletes and competitors who help promote the products. It’s always great to see Arnold swing by the Bodybuilding.com booth, and Lou Ferrigno also takes photos with fans at the Europa VIP booth — and yes, the incredible hulk, as well as the Governator, are STILL both HUGE. But Where is USPLabs and Jack3d at the Arnold Classic? The funny thing is, one of the top-selling supplement companies, USPLabs, is nowhere to be found at the Arnold Expo, much to the dismay of many of their newest fans and members of the community. Many are surprised by this, as Jack3d has been the top-selling pre-workout supplement for over TWO years, and OxyELITE Pro is a top fat burner for about half as long. 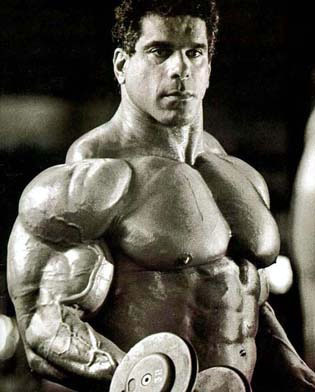 The thing you need to remember is that USPLabs is still an “underground” company. 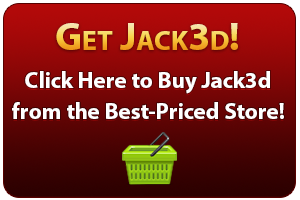 Yes, Jack3d got ridiculously popular, and this site helps answer any questions that the thousands of searchers are looking for each and every day. The same goes with OxyELITE Pro at OxyELITE-Pro.com. But, as an underground company, UPSLabs spares the marketing expense of having a monstrous booth and giving away samples. Love it or hate it, that’s what they do (reminder: this site is not run by USP nor is it affiliated with them in any way). There are still several people looking for samples, and they are very hard to find with Jack3d and OxyELITE Pro. Giving out samples is a tough thing – the expense of packaging and shipping each little unit adds up for a smaller, privately-owned company like USP. Meanwhile, half of the people looking for samples are simply freeloaders and were never looking to buy the product. Sorry, but it’s the truth – we hope you’re not one of them, but we see it all the time. Hell, I’ve done it myself, so I should know. And truth be told, thanks to our price comparison widgets on this site, we’ve basically beaten down the stores so badly that Jack3d has remained “DIRT cheap”, even though it’s not ‘cheap’ at all when it comes to quality. Obviously, we love these low prices – and we’re willing to sacrifice USP not being massive advertisers in order to get them. Honestly, if you can’t find $25 to spend on this product, then you probably shouldn’t be using a pre-workout anyway – eating quality food is FAR more important, and I’d rather see you spend that $25 on organic veggies and free range chicken and grass-fed beef. And if you’re simply not sure of the product, then we’re hoping that the HUNDREDS of reviews that put it well over 9.0 rating — for over two years — convinces you. So, yes, UPSLabs does not advertise much. They do not have monster booths, hordes of women, or any of the other ridiculous nonsense that many other manufacturers require. Their growth has been so explosive that it’s been tough to keep up anyway! Instead, they just have killer products at KILLER prices, proven by this site below. It’s been #1 forever, and they simply don’t really need to.